In this paper soil-blade investigation of a rotary tiller in a controlled soil bin is presented. Among the soil cutting agricultural tools currently used, the rotary tiller is one of the most promising equipment, saving operating time and labor. In a rotary tiller working tool is always a blade. For the tillage systems, accurately predicting the required torque and penetration force while cutting of soil with a blade is of prime importance as far as the farming operation is concerned. In the tillage operation almost 50% of total farm power is utilized. Draft require for tillage depend on the soil strength and moisture contents along with compactness. So tillage should be done at such a moisture content and soil strength where minimum power will be consumed. This moisture content and soil strength is the optimized value. It is needed to evaluate optimum values of these two important parameters for every type of soil before tillage operation to decrease the loss of power. Thus in this paper an investigation with regards to moisture content and soil strength which affects penetration resistance force and toque while soil cutting through a rotary tiller blade and has been presented. ASAE, S., 2002b. S313.2: Soil cone penetrometer. St. Joseph, MI, USA. ASAE Standards, 2002a. EP542: Procedures for using and reporting data obtained with the soil cone penetrometer. St. Joseph, MI, USA. Clark, S.J. and J.B. Lliljedall, 1968. Soil bins, artificial soils and scalr –model testing. Trans. Of ASAE, 11(2): 99-104. Culpin, C., 1981. Farm machinery. 10th Edn., Spain: Granada Technical Books Press. Durant, D.M., J.V. Perumpral and C.S. Desai, 1979. Soil bin test facility for soil-tillage tool interaction studies. ASAE Paper No. 79-1586, ASAE, St. Joseph, MI 49085. Gill, W.R. and G.E.V. Berg, 1968. Soil dynamics in tillage and traction. USDA - Agricultural Research Center, 511p (USDA Agricultural handbook, 316). Godwin, R.J. and G. Kilgour, 1980. The design and operation of a simple low cost soil bin. Journal of Argicultural Engineering Research, 28(2): 99-104. Hammer, G.L., P.S. Carberry and R. Stone, 2000. Comparing the value of seasonal climate forecasting systems in managing cropping systems. In: Hammer GL, Nicholls N, Mitchell C (Eds. ), Applications of seasonal climate forecasting in agricultural and natural ecosystems: The Australian experience. Dordrecht, The Netherlands: Kluwer. pp: 183–195. Hendrick, J.G. and W.R. Gill, 1971c. Rotary tiller design parameters, part III-Ratio of peripheral and forward velocities. Transactions of the ASAE, 14(4): 679-683. Mardani, A., K. Shahidi, A. Rahmani, B. Mashoofi and H. Karimmaslak, 2010. Studies on a long soil bin for soil-tool interaction. Agronomic Research in Moldova, 2(142): 5-10. Naderi-Boldajim, M., R. Alimardani, A. Sharifi and A. Tabatabaeefar, 2009. Economical hand-pushed digital cone penetrometer. Int. Agrophysics, 23(1): 55-60. Onwualu, A. and R. Watts, 1998. Draught and vertical forces obtained from dynamic soil cutting by plane tillage tools. Soil Tillage Research, 48(4): 239-253. Onwualu, A.P. and R.C. Watts, 1989. Development of a soil bin test facility. ASAE Paper No. 89-1106. Michigan: ASAE, St. Joseph. Shibusawa, S., 1993. Reverse-rotational rotary tiller for reduced power requirements in deep tillage. Journal of Terramechanics, 30(3): 205-217. Siemens, J.C. and J.A. Weber, 1964. Soil bin and model studies on tillage tests and traction devices. Journal of Terramechanics, 1(2): 56- 67. Srivastava, A.K., C.E. Georing and R.P. Rohrbach, 2006. Engineering principles of agricultural machines. 2nd Edn., Michigan: St. Joseph Press. Stafford, J.V., 1979. A versatile high speed soil tank for studying soil and implement interaction. 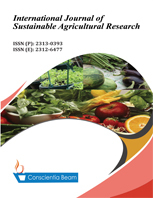 Journal of Agricultural Engineering Research, 24(1): 57-60. Topakci, M., H.K. Celik and D. Yilmaz, 2008. Stress analysis on transmission gears of a rotary tiller using finite element method. Akendiz Ünivresitesi Ziraat Fakultesi Dergisi, 21(2): 155-160. Upadhyaya, S.K., J. Mehkschau, D. Wulfson and J.L. Glancey, 1986. Development of a unique, mobile, single wheel testing device. Trans of the ASAE, 29(5): 1243–1246. Wismer, R.D., 1984. Soil bin facilities: Characteristics and utilization. In Proc. 8th International Conference, International Society for Terrain- Vehicle Systems. 6 10 August, Cambridge, England, 3: 1201- 1216. Wood, R.K. and L.G. Wells, 1983. A soil bin to study compaction. ASAE Paper No. 83–1044. MI, USA: ASAE, St. Joseph. Yatsuk, E.P., I.M. Panov, D.N. Efimov, O.S. Marchenkoc and A.D. Chernenkov, 1981. Rotary soil working machines (Construction, Calculation and Design). 1st Edn., New Delhi: Amerined Publishing Company Pvt. Ltd.